Today is Tuesday, May 23, the 143rd day of 2017 in the Gregorian calendar, with 222 days remaining. Donald Trump has been President of the United States for 124 days. There are 1,339 days remaining, assuming he doesn't resign or is otherwise removed from office. 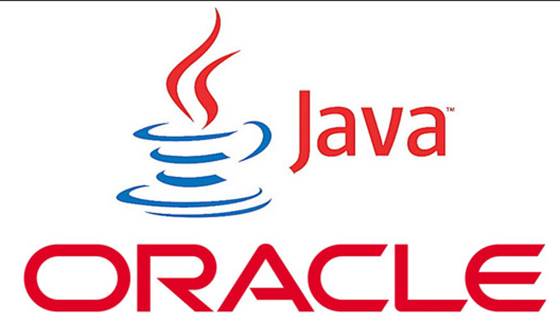 On this day in 1995 the first version of the Java programming language was released. Among other things today is also World Turtle Day. Florida Man: Tampa mayor joked about watching reporters 'cry like little girls' as he pointed machine gun at them. The Orville is an upcoming comedy-drama science fiction television series created by and starring Seth MacFarlane that is set to air Thursdays at 9:00 on Fox during the 2017–18 season. President Trump's budget proposes deep cuts to programs for the poor, lowers taxes sharply and assumes improbable economic growth. Explosion, panic and death at Ariana Grande concert in England You know. The usual. Jury selection in Bill Cosby's sexual assault case began here in Pittsburgh on Monday, even though the trial will be on the other side of the state, near Philadelphia in Montgomery County. That's in order to find jurors untainted by publicity. Sure. None of us in Allegheny County know anything about this international scandal. Real fake news: The Onion leaks a trove of Trump documents. The world is running out of sand. China's swift development has consumed more sand in the previous four years than the United States used in the past century. Chinese officials have said that by 2030 they hope to have completed a hundred and sixty-five thousand miles of roads- a national network nearly three and a half times as long as the American interstate system. Michael Moore, Harvey Weinstein reteam for Trump documentary "Fahrenheit 11/9". "No matter what you throw at him, it hasn't worked," says Moore. "No matter what is revealed, he remains standing. Facts, reality, brains cannot defeat him. Even when he commits a self-inflicted wound, he gets up the next morning and keeps going and tweeting. That all ends with this movie." Billy Bush is ready to get back into television. Television not exactly jumping at the offer. Three cast members announce they won't return to Saturday Night Live next year. Relax. Kate McKinnon isn't one of them. "I want all the people who betrayed my father to know that I'm coming after them," Zachary Ailes said during a speech at the ceremony, "and hell is coming with me." Roger Ailes' son's vengeful eulogy for his father. When 'special reports' aren't all that 'special'. Megyn Kelly's new NBC news magazine show, Sunday Night with Megyn Kelly, will premiere June 4 at 7 p.m. Meh. I'll stick with 60 Minutes. The mystery of the wasting house-cats... Forty years ago, feline hyperthyroidism was virtually nonexistent. Now it's an epidemic= and some scientists think a class of everyday chemicals might be to blame. 'When President Trump laid hands on the glowing Saudi mystery orb, he pledged allegiance to "Its Luminescence," summoned the forces of Sauron to take over Middle-earth and created an "army of Moderate Muslims to fight terror."' Behold: Donald Trump and the mysterious glowing orb. The commerce secretary praises the lack of protest in a country where it's punishable by death. Five people hospitalized after eating gas station nacho cheese. Rule of thumb: be wary of any food that is preceded by the words "gas station." Billboard Music Awards slip in key demo from last year. Could have something to do with a 71-year-old Cher in fishnet stockings. Hospitals around the US are scrambling to stockpile pharmaceutical grade sodium bicarbonate solution due to critical shortages. The injectable quality baking soda will be in short supply for the next 1-3 months, and hospitals are postponing operations or putting off chemotherapy treatments because the country's only two suppliers have run out.